Cut broccoli into small parts. Blanch in water for 3 mins. Then soak in cold water and drain. Heat a pan. Add in some oil. Fry shiitake mushrooms. 2 mins each side. Add in 2 tablespoon stock or water (stock is better). Simmer for 4 or 5 mins or till cooked. Set mushroom aside. Heat a pan. A little oil in. saute chopped garlic. Then add in 1 tsp light soy sauce,1 tsp oyster sauce and 1 tablespoon stock). Reduce the sauce a bit. 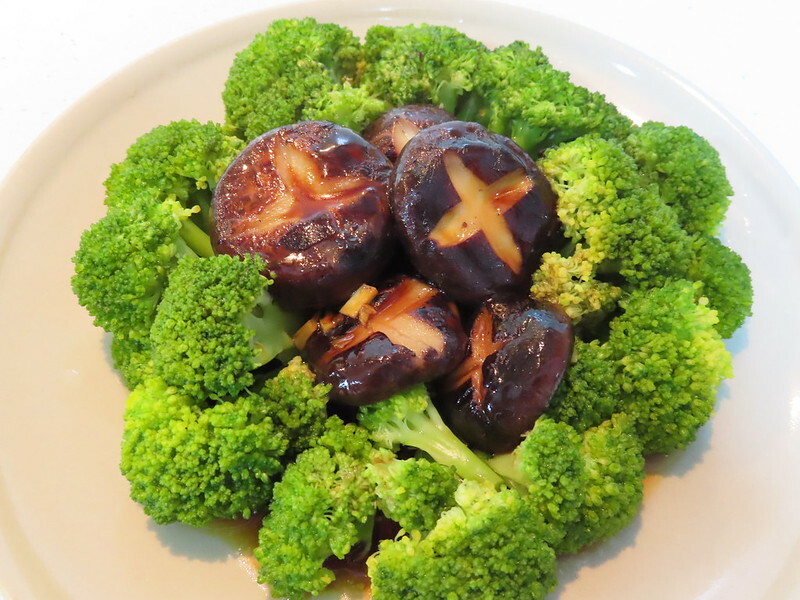 Place broccoli and mushroom in a plate. pour the sauce over them.